Some of my friends' kiddos...They settle their homework once they reach home. Others like my Nyla, need downtime to relax first...then she will hit the books. She works better on a full stomach or after fiddling with her crafts. Now that Nyla is in Primary 4, I expect her to work independently from start to end. Only that the timetable she has in mind macam tak balanced gitu kan.
Mari Mak enter frame and balance kan sikit. Once she has set off for school before I handle my property and Pearlista work, I go through her assessment books/papers and then assign work for her to do. 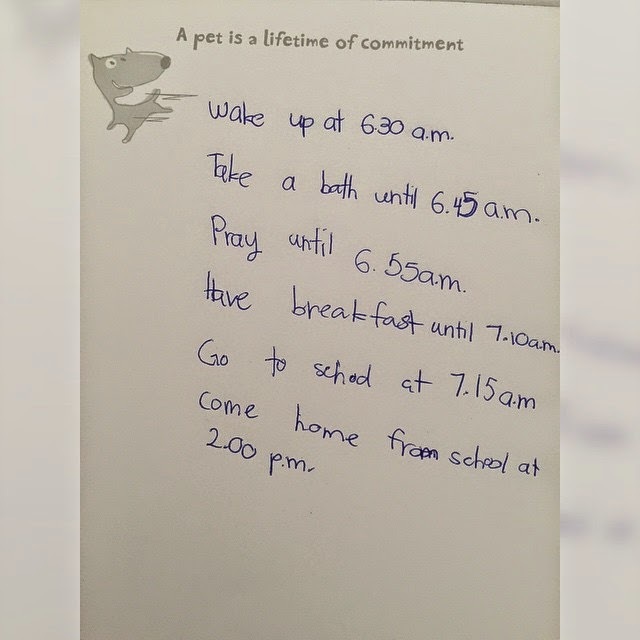 I also give her the liberty to reduce if she comes back from school with heavy homework load. 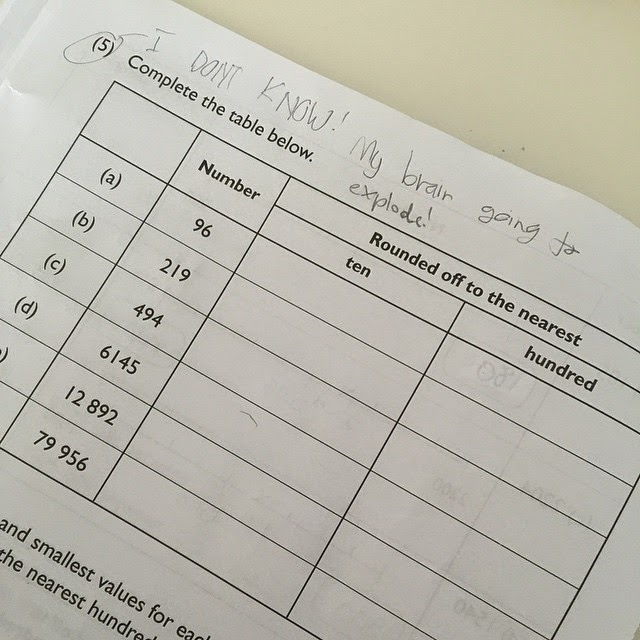 "Mommy today I have Maths homework. Banyak seh. So your Maths I won't do today ok."
"Ok can..' will be my reply. "Mommy, besok ada ejaan....so the Malay assessment book I won't do ok."
My reply: Relaks sua. Ejaan will only take 10 mins of your time. No can do. After you settle ejaan you proceed to do the work I have assigned to you." Her reply: Ala boring la you. Sometimes, when she's not in a full on productive mood, she will come up with this kind of nonsense. Me: NYLA YOU STOP THIS NONSENSE. THEN FORGET IT. JUST HAND THIS UNANSWERED TOMORROW TO YOUR TEACHER. IF IT WORKS FOR YOU, SO BE IT! Nyla is already at the age whereby she's developing independence so I am trying to pull back a little from my involvement. On days I'm working, I'll give her a ring or send her whatsapp messages to remind her about her homework but I try not to micromanage the process and give allowance sikit. You see la. I only pull back a little...become like thisssss! However there are moments when Nyla herself would feel like she has been a bit irresponsible, not keeping up with time and she herself would feel guilty. So because of this episode, she actually downloaded Azan app on her phone to remind her and I'm like, "Ah, so she's this kind of girl. Get her to make her own mistakes and she will rectify on her own." Amazing hikmah behind this. Thank you Allah! I must admit that watching her make mistakes is unnerving. I want to control the situation to avoid her from suffering or experiencing stress, like kena scold by teacher etc. However, I have come to realise from the 'Nyla dah overshot waktu Maghrib' incident, that if I correct her every mistake, Nyla will never learn right from wrong. 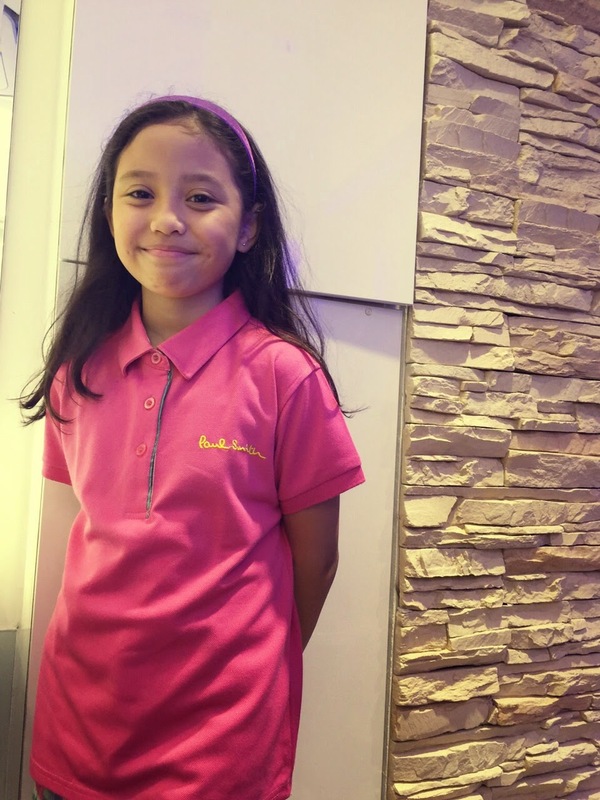 She might enter adulthood unsure on how to handle certain life lessons or even worse, make light of a serious situation, hence running the risk of depending on others (me la!) for resolutions. So now, I must try my level best not to overextend the help. And I think Nyla is ready for me to allow her to go through the motions so she can figure things out on her own. "Work is the fuel of hope and the enemy of failure." And the thing with real estate is that the harder you work, the more deals you will close. There is a high turnover in this industry if you have been reading the papers recently. But I firmly believe that if a real estate salesperson has strong work ethics and great personality skills, then don't need to worry. One of the best things about being a property agent is the flexibility to be with Nyla. 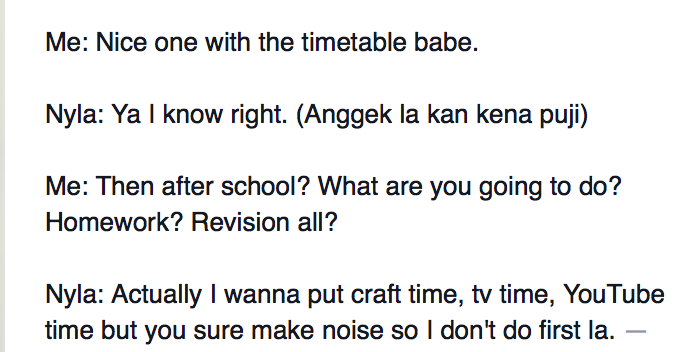 I can afford to just rush home, settle her homework/or just spend time with her and then rush off to work after that. Am entering my 3rd year in this industry and I still get excited when I meet new clients....I still get hopeful as I run around doing viewings.... I get empowered by the positive energy when I see fellow comrades closing deals feeling excited as if it were happening to me as well. If they can do it, so can I kinda thing. 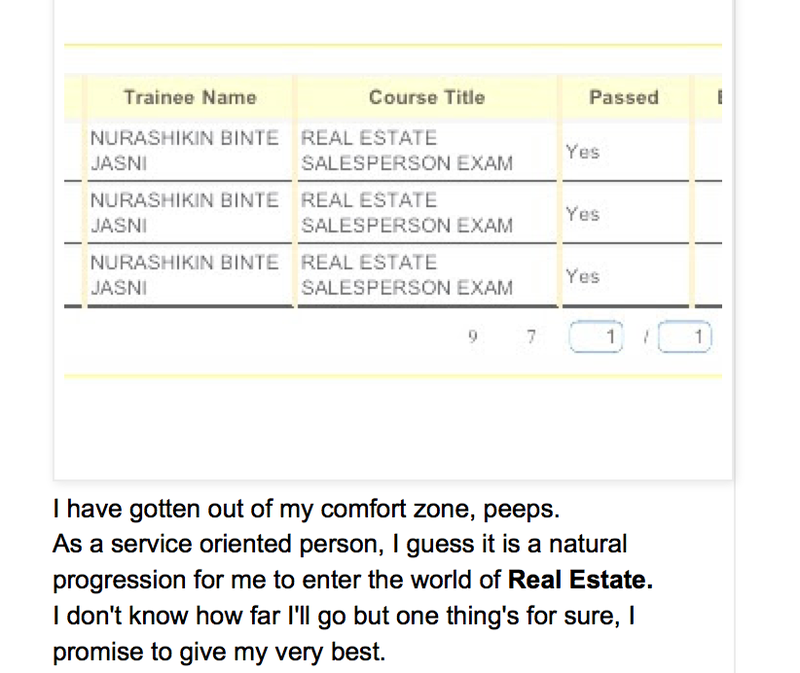 Am very pleased to share with you that I isssss one of the top 5% of the largest real estate company in Singapore. Number 224 out of 300. First time attending ERA Asia Pacific Business Conference! Inspiring! Where's Wally? EH salah. Where am I? Hehehe. Nyla wasn't impressed because to her, top 3 means good. Susah la nak explain pat dia. She will geddit when she's older. 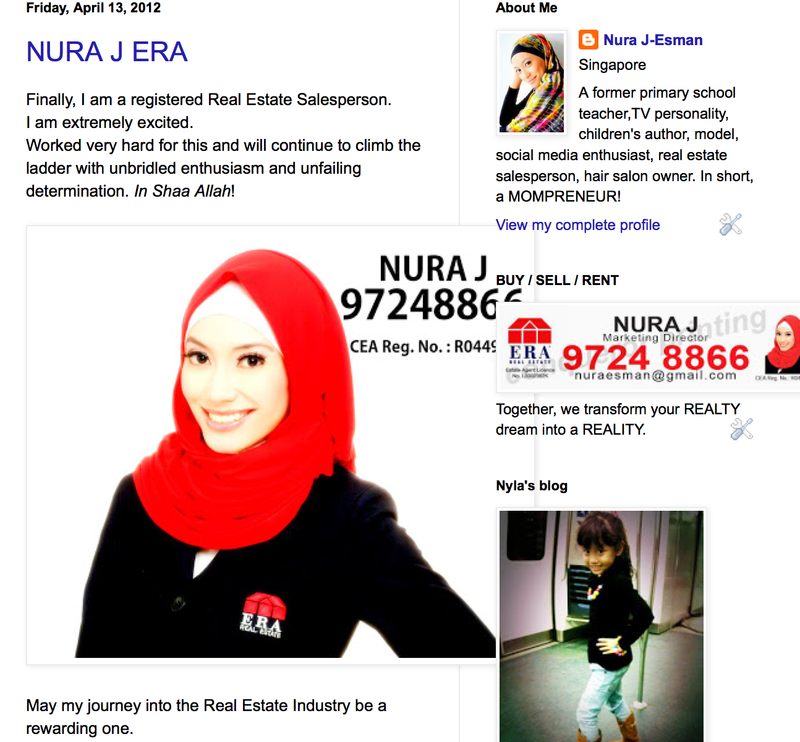 Thank you to all who have been part of my real estate journey. That's when I will get what I want and need. And if I have done my best whether or not I make it to top 5%, it doesn't matter. If get, YEAY! If nope, it's really ok because in your client's eyes, you are their number 1 agent. Better than top 5% tu. Hehehe. That said, this award is really a pleasant surprise and I am so thankful to Allah SWT for this. Thank you everyone. Any property matters, am here to do my best to assist. "Babe, hubs and me thinking to sell the home. You become our agent eh?" "Kin, we want to rent out our place!" Of course, I feel very honoured to have them have me in their thoughts to handle important transactions. Totally. But PRESSURE dia pon boleh tahan. What if they are not pleased with my services? What if at the end of everything and my company bills them they ask,"Eh kena bayar eh? Ingatkan members free seh." Oh man. Ni yang tak sedaps. This is my profession and regardless of whom it is, everyone will be treated like a VIP. And that I should stay firm to myself and not decrease my quality of work in anyone's eyes. No such thing as chin chye work. Chants:"Do my best Do my best Do my best!" Well, I think Allah SWT has willed that for year 2015, F.R.I.E.N.D.S will be the launching pad for my real estate business. Hence, I must step up. Like not put their cases to the back burner just because we are friends. So the beginning of the year its like bertubi tubi seh members telefon I.
Jangan play play seh. Ni BAPAK orang oi. He engaged me as his agent for buying his mansionette at Woodlands. Amazing how God works. Since I was around Woodlands that night, had a client contacting me immediately asking me to rent out their whole unit because they will be staying with their children. With a huge well maintained home like this, managed to secure tenants at a good price, within a week. Alhamdullilah. 2) My gf of about 5-6 years. We started off very polite by the way. Baca past messages macam nak vomit at our politeness gitu. But that year, I got quite a few speaking jobs and exposure thanks to her. Hugs. Gua love you big time Farena. 3) My secondary school gf. She first had the intention to sell EIGHTY EIGHT WEEKS AGO! (Ya this pic I took from my instagram dated 88 weeks ago!) So 88 weeks passed and she finally asked me to come to her place for presentation again. This time with her husband present. When I came to her place for presentation, she served me some mean chicken chops. No time for pictures. Its NOM NOM NOM all the way. Thanks Suria! 4) Another secondary schoolmate. My junior in secondary school. 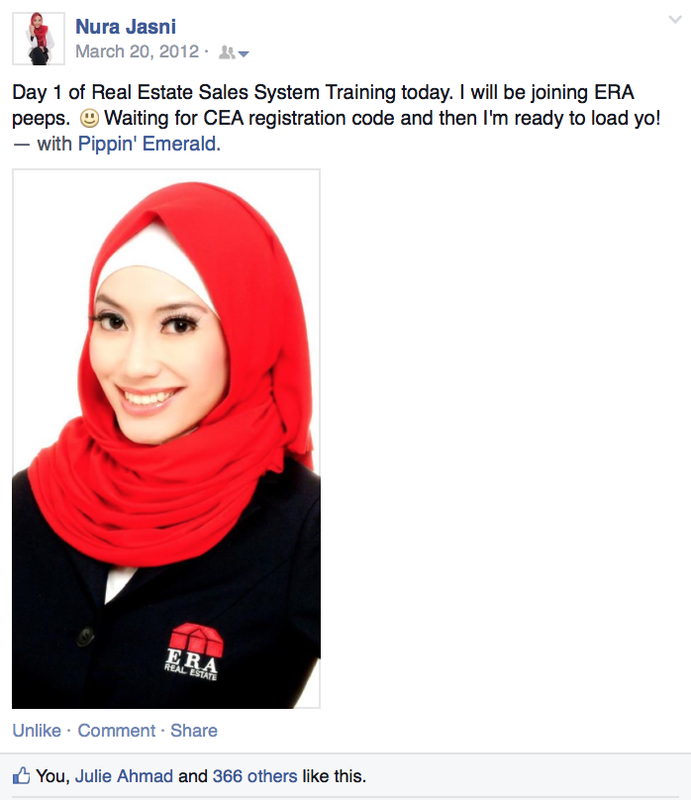 Alhamdullilah, managed to sell his home which had an ethnic ratio quota (Very challenging!) .....and secured a home both he and wifey liked. 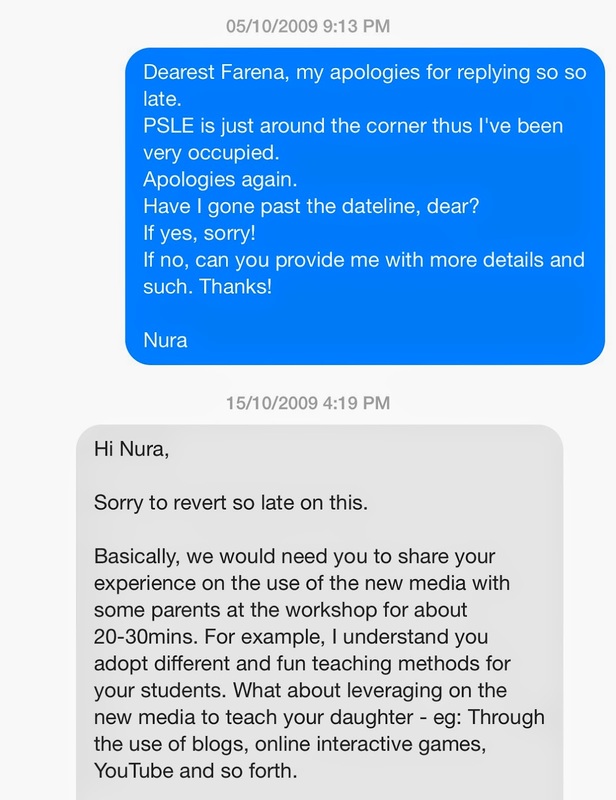 5) A teacher friend who has secured a BTO so selling is a must. 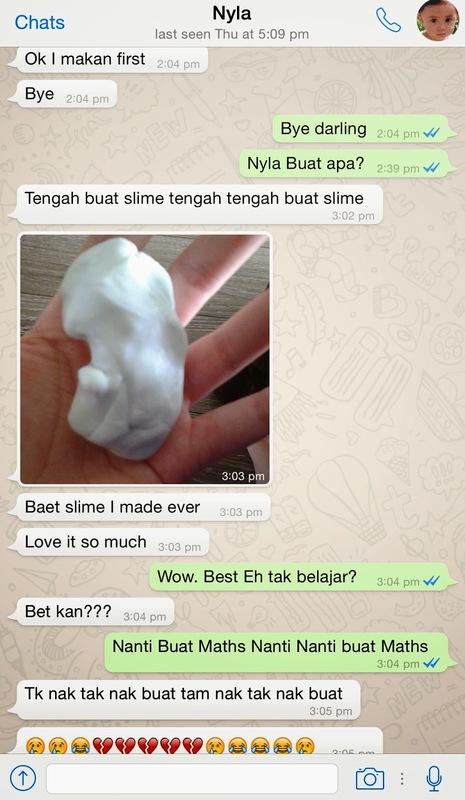 When I asked her to pass me pics of her home to be put at Property Guru, you see la the kind of pics she sent me. She included her selfie pic with hubby all. But the best part now is that I can just reply,"OI! HOW CAN PUT THIS KIND OF PHOTOS ON PROPERTY GURU? Kau merepek ah woman!" cos we are members mah...so I guess that's the great part about having friends as your clients. I forgot how fun it was to have friends as your clients. It's like SO GEREK TAHAP GILA BABS!!!! I mean the energy level is so high and gotta thank Farena and Hubs for not acting all client-y and bossy with me so mood was relaxed! We so chill that for Farena's unit, the day her Filipino tenants moved out...during the handover...a Saudi Arabian family came to view and offered for her place! Gasp at my double chin! WAILS. 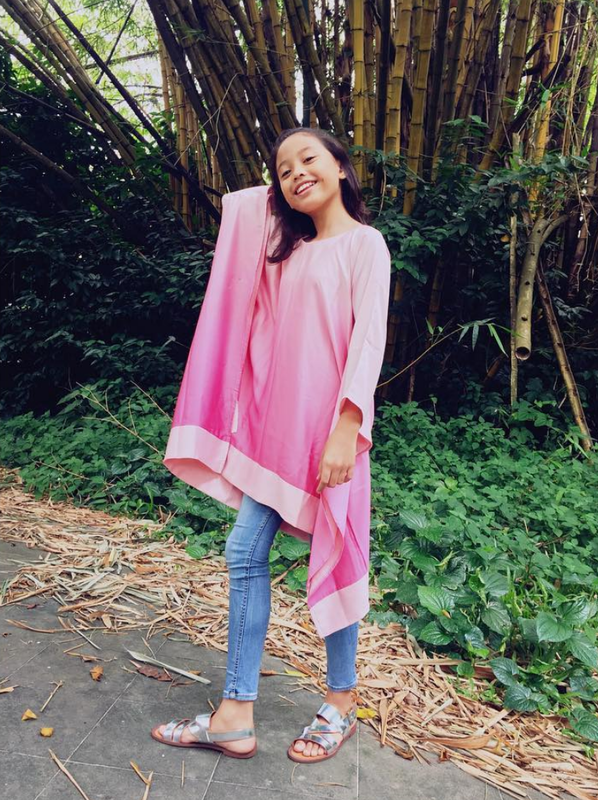 But takpe, as long as Farena lawa it's ok. Cos she's the boss. That said, Alina, you need to up your photography skills. Thanks. Angle girl ANGLE! Well can't blame Alina for doing a bad job with the photo taking la because the kids around us that day were mad cute. Distraction. Anyway yeay yeay, that was good start. To have friends as clients and we really do a swee swee job for them. But I must say that I have also forged beautiful friendships with my existing clients. Never mind that I still haven't sold their homes yet. It's like we cry on each other's shoulders and just keep persevering. Or suddenly so many obstacles come our way and we are still hoping to find our way out. And these clients, they stick with me because we are a team. Thank you for the support. Means a lot to me. We are like family and no one gets left behind. We do not despair....we never ever give up...continue to be optimistic! I'm probably the last person to try but maaaaannnnnn, it's so sedap!!!!! Please let there be no queue.